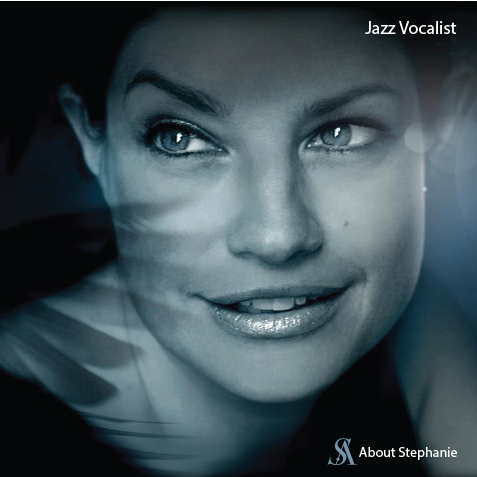 Listen to samples from Stephanie's new CD - The Song of the Lark. Stephanie Aaron was born and raised in the old vaudeville city of Peoria, IL and at an early age began singing and acting, ultimately receiving a Bachelor's degree in Theatre Arts from Bradley University. After working for several years as an on-air radio talent, she moved to Chicago, where she immediately won long-running and thrilling steady gigs at Jilly's on Rush Street and at the world famous Drake Hotel. Stephanie has since become a fixture in Chicago jazz, appearing steadily all over the city at well-known nightclubs and hotels such as the Peninsula Hotel, Stetson's Chophouse, and Andy's Jazz Club; she's also well known and respected on the southside of Chicago, where she spent countless nights honing her craft at jam sessions with the likes of Von Freeman and June Yvonne. Stephanie's latest project is her new cd entitled The Song of the Lark, which was recorded in Chicago with her husband, saxophone player/arranger Dan Nicholson, and other great area musicians. The cd is a collection of beautifully and imaginatively arranged standards as well as a couple of suprises by writers like Bob Wills and Richard Carpenter. The Song of the Lark is a charming little gem of a recording and is available at cdbaby.com and at all live appearances.